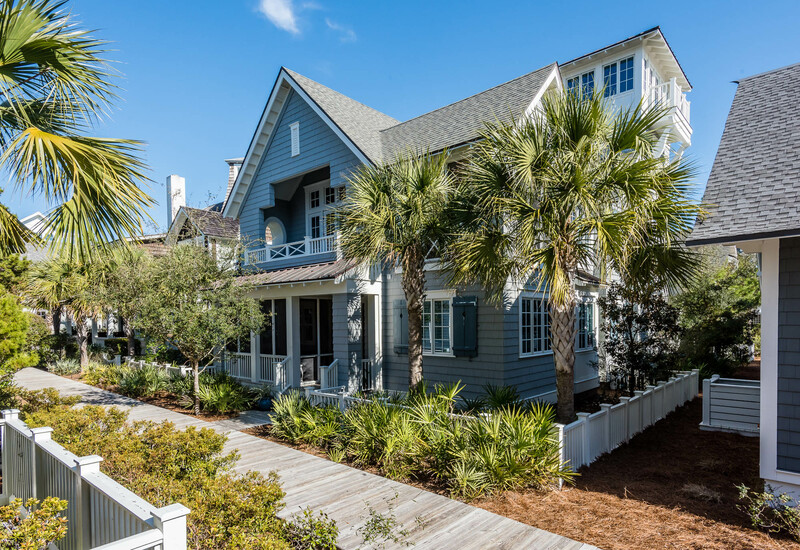 The Beach Group is pleased to announce a price reduction on Keel Court in the heart of the private community of WaterSound Beach. 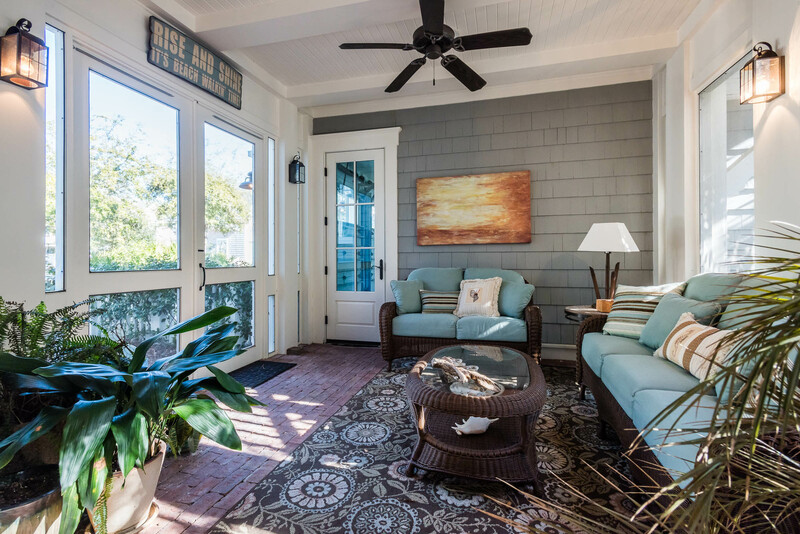 Distinguished by its wood cladding, blue Board and Batten shutters, and welcoming verandas, this classic yet informal beach retreat combines contemporary architectural influences with historic New England born aesthetic that WaterSound is known for. 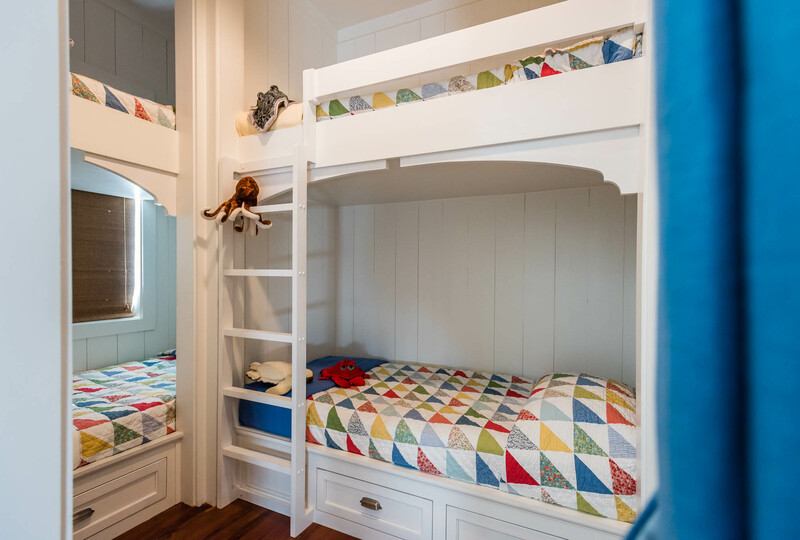 This 4,257 square foot estate features a fun and functional reverse floor plan and a spacious 4 bedroom main house with a bonus bunk room and an appointed carriage house. 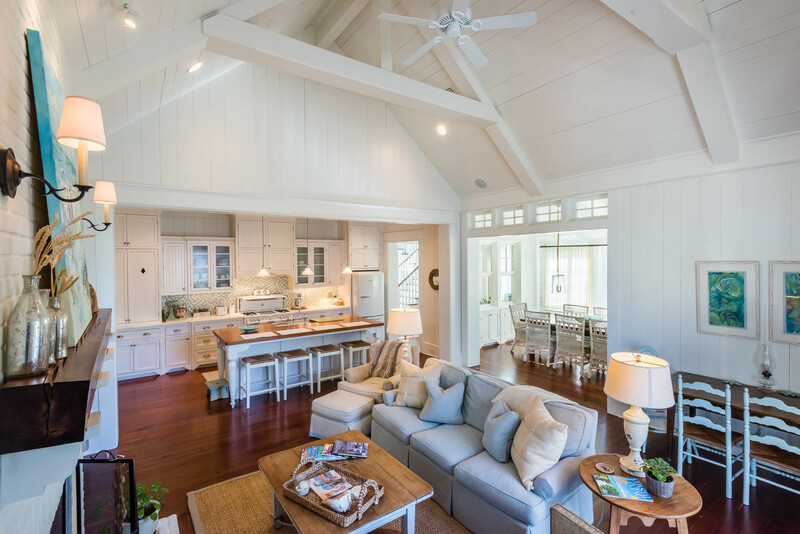 Soaring ceilings, wood floors and natural light abound, this home donned in ornate wainscoting and simple ship lap paneling creates the coveted and comfortable beach cottage for your family to escape to. The second level is where the heart of the home can be found, featuring an open concept great room, a spacious coastal kitchen, and a dining room; which encompasses a dividing wall of picture windows that flood the space with natural light and adds a charming detail to the space. Enjoy the added convenience of the home’s elevator and attached two-car garage. It also offers tower views of WaterSound, a screened in front porch flanking the front door, a convenient landing pad connecting the main house and carriage house, laundry rooms on both levels of the home, a screened in patio connecting the main house and garage, and multiple window benches meant for enjoying a good book. 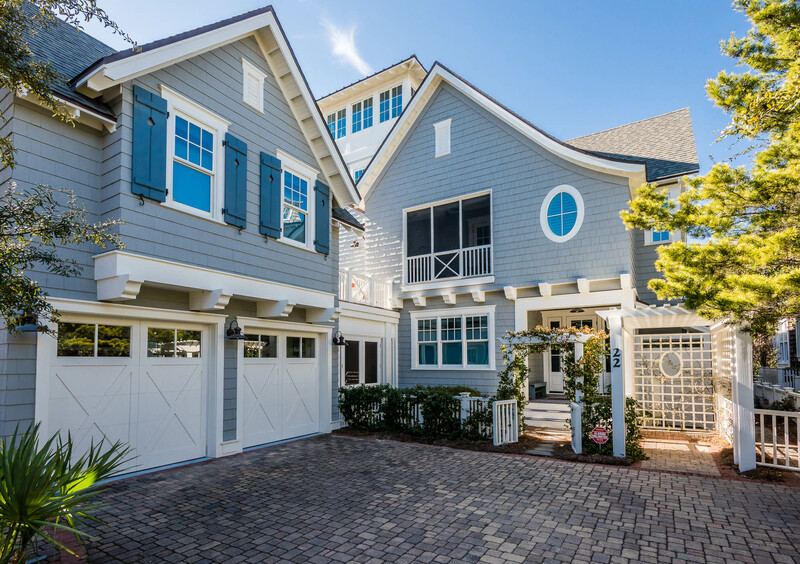 To schedule a showing or for more information on this WaterSound Beach home, contact The Beach Group today! My family has been traveling to the 30A community for years and we have always considered purchasing a home in the area. We have never stayed in Watersound however and would like to know if you offered vacation rentals in this or another home in order to get a better feel for the area before making such a life changing investment? Thanks for the help!